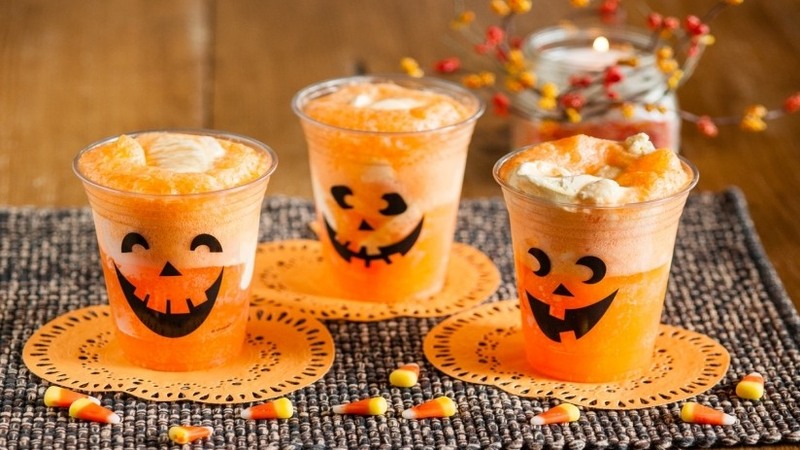 Using a black permanent market, draw Jack O’ Lantern eyes, nose, and mouth on the clear plastic cups. Place a scoopful of orange sherbet into each cup. Pour orange soda over the sherbet.